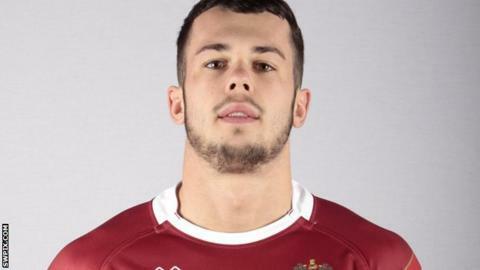 Wigan Warriors forward Macauley Davies has been forced to retire at the age of 22 on medical grounds. Davies made his debut for the Warriors against Wakefield in July 2016. "To be told your dream of playing rugby league since a little boy is over is the hardest thing I have ever had to hear," he told the club website. "To have to make a decision if I want to take a risk and carry on with my dream or to finish it is truly heart-breaking. "For me the risks are too high and I have no choice - I have to accept that my health and life are more important than continuing to play." The condition was discovered after Davies went to see a specialist, having suffered a concussion while playing on loan for Swinton Lions.